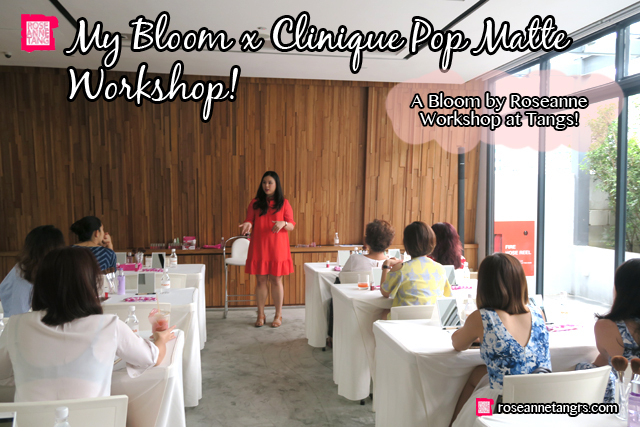 Today I want to share with you an amazing Sunday I had last week doing a Bloom workshop for Clinique! 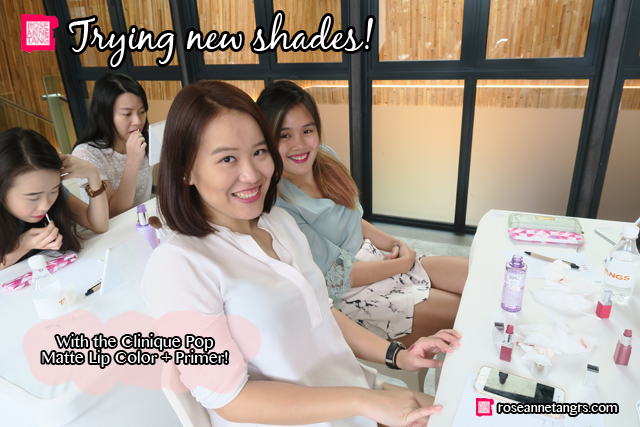 I was so excited when Clinique invited Bloom by Roseanne, my personal make-up workshops and class business to do a workshop to help their customers get more acquainted with the new Clinique Pop Matte Lip Colour + Primer. Having been an avid fan of these lippies, I was more than excited. 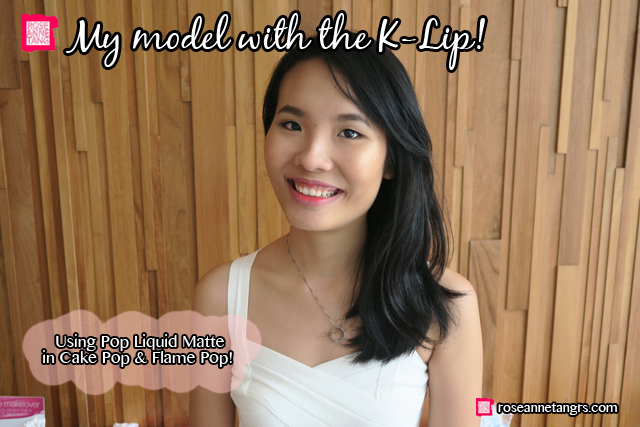 If you haven’t yet tried these Pop Matte lippies, you really have to. I’ve been wearing and reaching for them daily and I love them because they provide a modern matte suede like finish while keeping your lips hydrated. The pigmentation is also insane and I love the colors, they really bring life into your look! 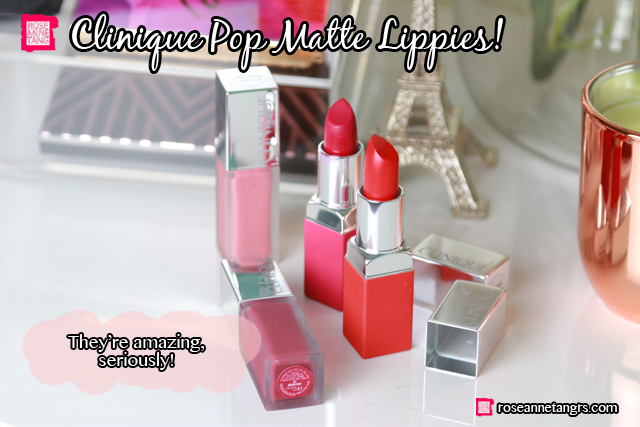 My favourite is currently Rose Pop and they make such great everyday lipsticks. A cool trick is to blot your lips after application for a non-transfer finish! I find them lasting all day. I had Prata for breakfast yesterday and seriously no other lipstick could stand that, but I didn’t even have to touch up after! 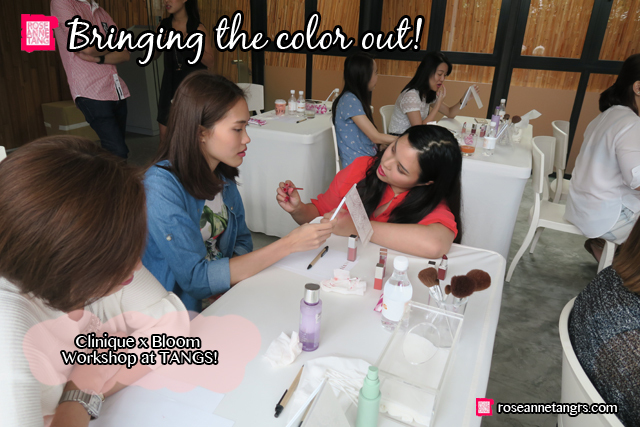 The workshop was held at TANGS! TANGS! 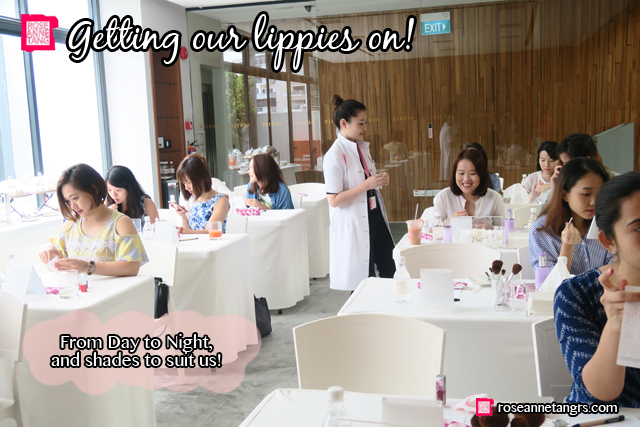 My gosh, it’s one of the most well-known and largest department stores in Singapore on Orchard Rd and for sure a milestone for Bloom to be also working with such a major beauty brand like Clinique. #proudmoment. 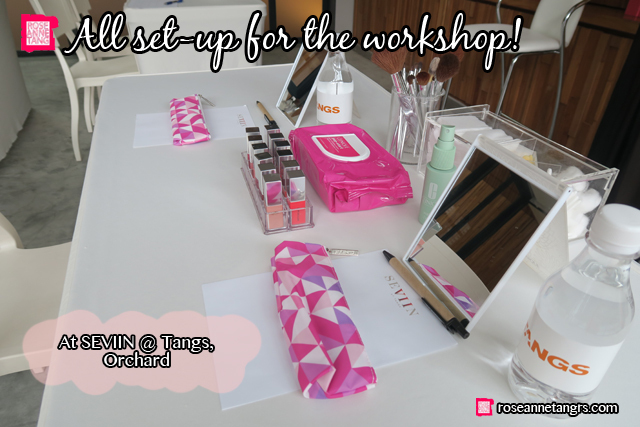 It was on the top floor of Tangs at SEVIIN where there’s a workshop space. 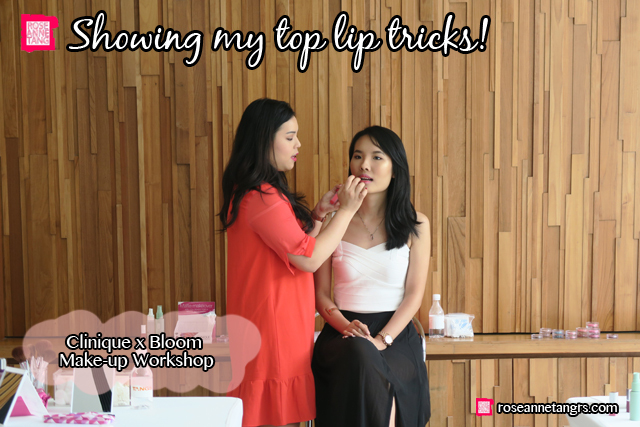 I started Bloom in my living room and I remember always wanting to be able to do a workshop at TANGS ever since I started Bloom so this workshop was really special to me. Here are a few snaps of the workshop! 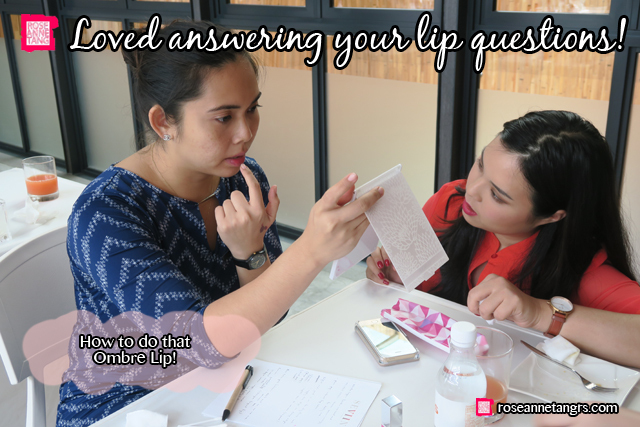 I designed it to help participants find the best shade for them using my skintone and undertone tips, how to carry a bold lip from day to night and how to do a few wilder lip trends like the Korean Rosebud Lips and the more American Ombre Lip trend. 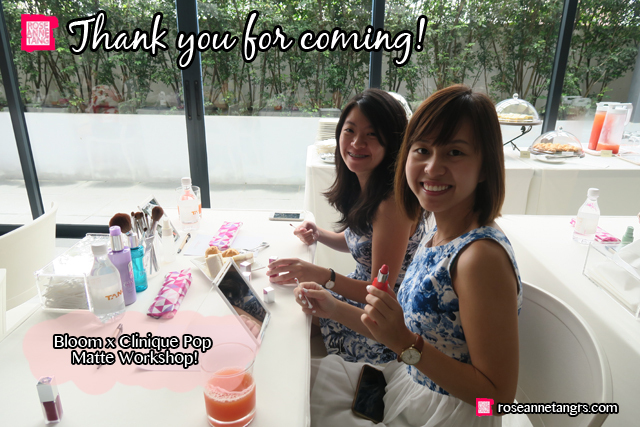 The workshop was $70 per pax, but fully redeemable in Clinique products and they got to keep a Clinique brush set and lipstick as a goodie bag! Thank you to everyone who came. I really do appreciate you all taking the time on a Sunday morning to learn more lip tips and tricks and getting to meet all of you was such a great blessing! If you missed out on this workshop, please come and join the next one! Also, if you haven’t tried the Clinique Pop Matte Lip Color + Primer and the Clinique Pop Liquid Matte + Primer – you really need to. I can’t say enough good things about these lipsticks – super smooth, pigmented, easy to wear and convertible. Be sure to check them out at Clinique counters or at Sephora!